After all was said and done, with $13,620 in options, it rang in at nearly 90 grand. Pricey and more expensive than similarly equipped Volvo S90 and Mercedes E Class wagons. 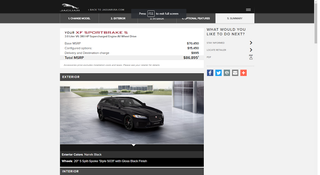 The configurator is live if you guys want to play around with it.